Well I’m not entirely sure how this comes to be my first ever Different Dimension polish but I know now that it most certainly won’t be my last! 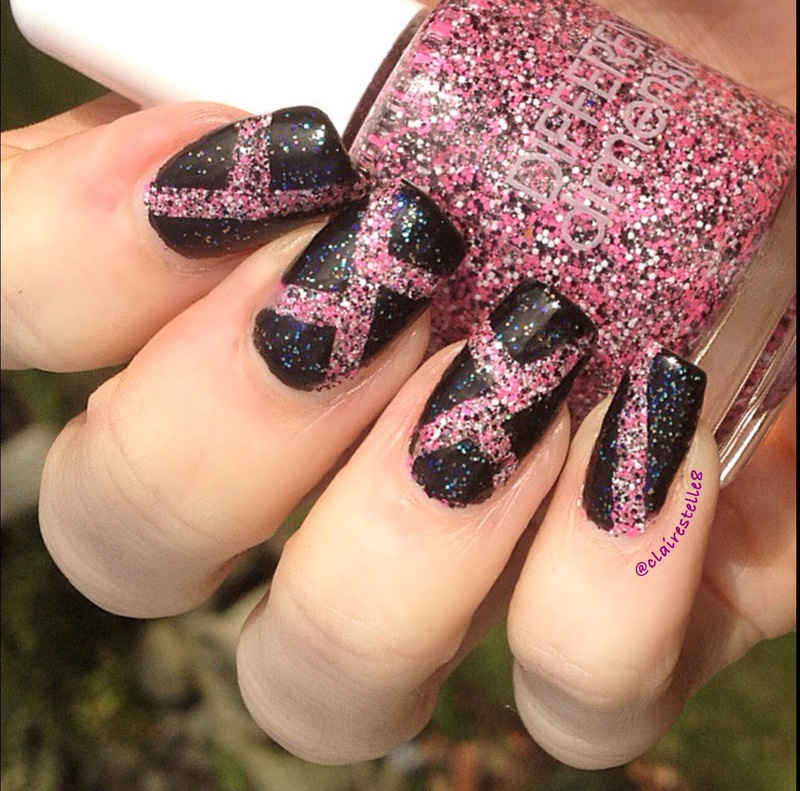 It Was on Sail is a clear base jam packed with micro glitters in pink, white and black and, wait for it, holo dust!! Yes! 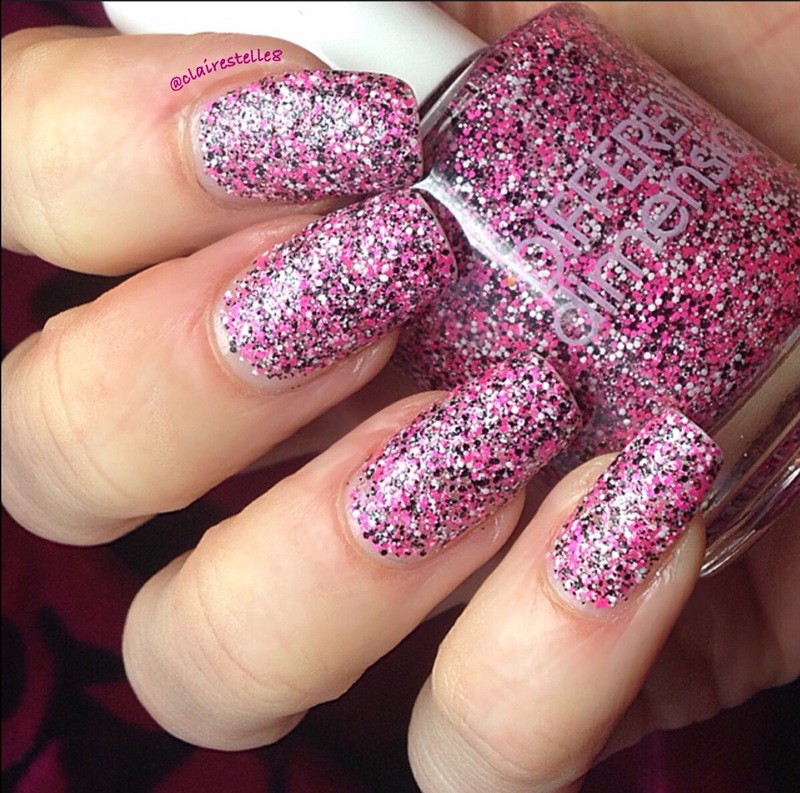 Holo dust and who couldn’t do with some of that to brighten their day! It is described as a glitter topper but I decided to use the polish as full coverage. The formula was a little thick as is often the case with glitterbombs like this, but it applied well and was totally opaque in three thin coats and it wasn’t too gritty either and one layer of top coat ( my current favourite is KB Shimmer Clearly on Top) was all that was required to smooth it all out! I couldn’t resist having a play with some straight vinyls and black polish over the top to create a geometric effect. I think it made the glitter underneath really pop! Straight vinyls can be tricky to use at first but the key is to make sure your nail has no grease on it and remove while the polish you have layered over is still wet.